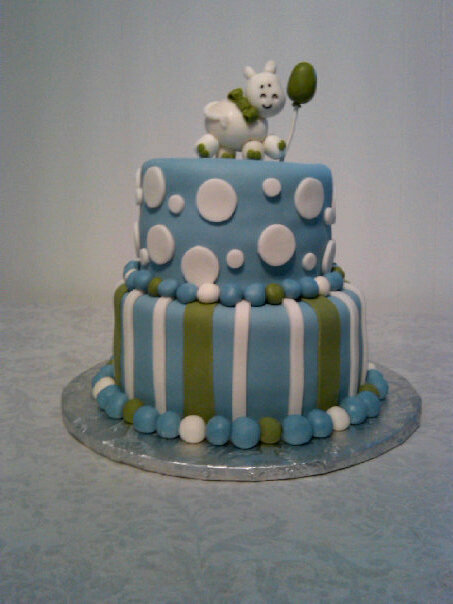 You are currently browsing the tag archive for the ‘Baby Shower Cakes’ tag. Baby Shower Cakes Baby Boy Theme Blue, Brown, Green, and Yellow. We made this cake a little while ago and I just now realized we never posted about this baby shower cake. This is a popular thing with the bakery a customer will ask if we can make a cake to match the tableware for the party. Usually a napkin, plate, or sometimes the invitation itself, is given as an example for design, color inspiration or just as general idea of what they are looking for. This particular two tier cake mimicked the polka dots on one tier from the smaller side plate, and the stripes on the bottom tier for the larger plate. Of course those cute little babies feet with tiny toes for the top of the cake letting everyone know this cake is for a baby shower. The little banner with the new additions name was placed on the front side of the top tier. The colors were a mixture of two blues, two browns, and green and yellow. 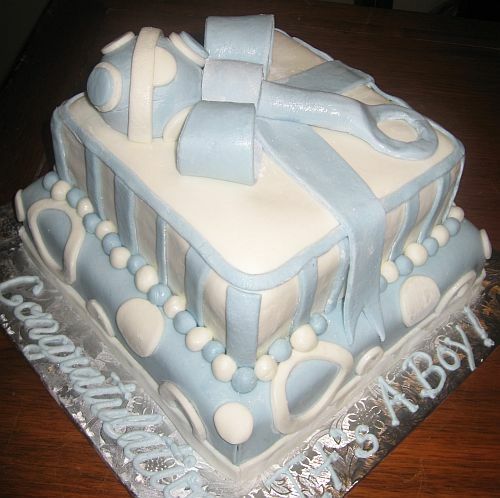 What a fun way to incorporate all the colors for a baby boy shower!! 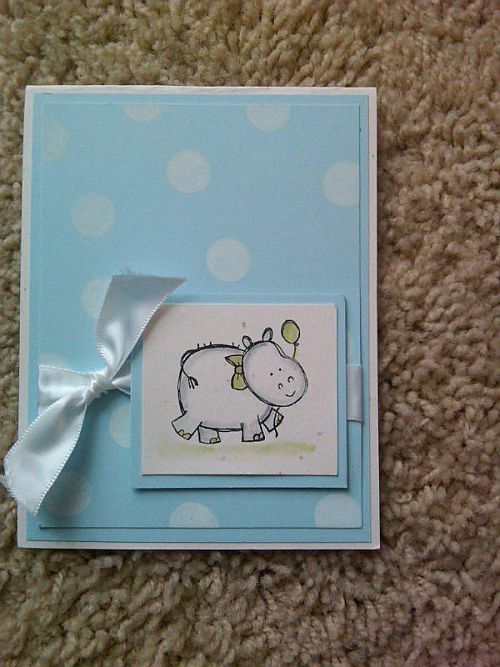 This adorable Hippo Baby Shower Cake is another example of a customer requesting we make a coordinating cake to match the Party Invitation for the Baby Shower. The Hippo was hand molded out of our made from scratch Marshmallow fondant. The top tier was made to match the polka theme on the invitations and the stripes were added, well because we needed something to make this an adorable two tier cake!! These invitations were hand made and a picture of them was sent to my e-mail. I heard that everyone loved the cake!! 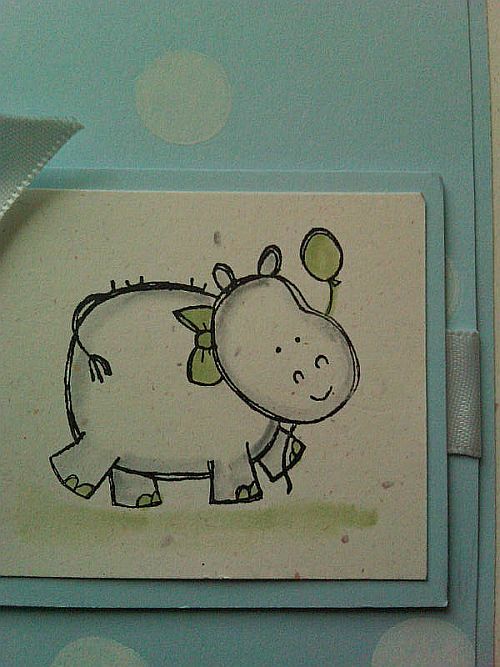 The little hippo was even preserved to save for the baby’s first birthday or sometime special for him and his mother to enjoy together! This weekend we made a Two Tier Princess Pillow Cake with a Gumpaste Tiara on Top and lots of beautiful flowers all over the cake. The colors were different shades of Pink and Green. Our Favorite Princess Cake by Far. We made the bottom Princess Pillow Cake out of a square Red Velvet Cake and carved into it to make it look more like a real pillow. We then iced and covered it with Marshmallow Fondant, decorating it with and Argyle Pattern and Silver Dragees. The top Pillow was a Black and White Cake the top layer Vanilla and the bottom Chocolate. It was also iced and covered in Marshmallow Fondant. Deocorated with a simpler band going around the cake. The Marshmallow Fondant Flowers were hand rolled and placed all over the cake for the extra girly touch. We had a lot of fun making this cake and were so excited to be challenged with something that ended up looking so beautiful. If you are interested in a Princess Pillow Cake for your childs next Birthday we would love to make another. Feel free to contact us or stop by the bakery located at 1413 North George Street in York, PA to order. 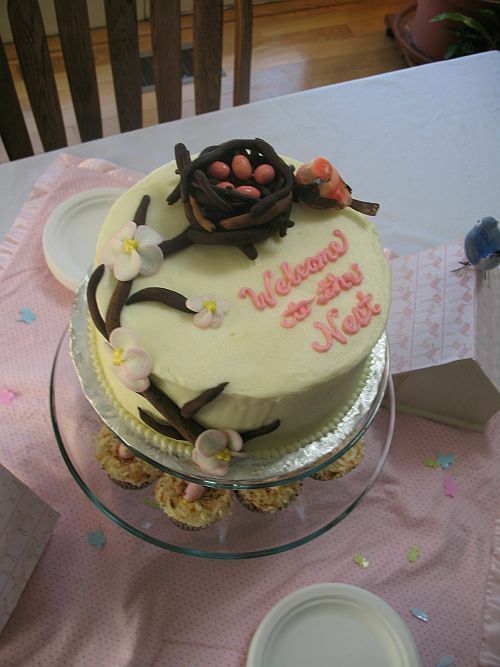 Welcome to the Nest Baby Shower Cake and Cupcakes! 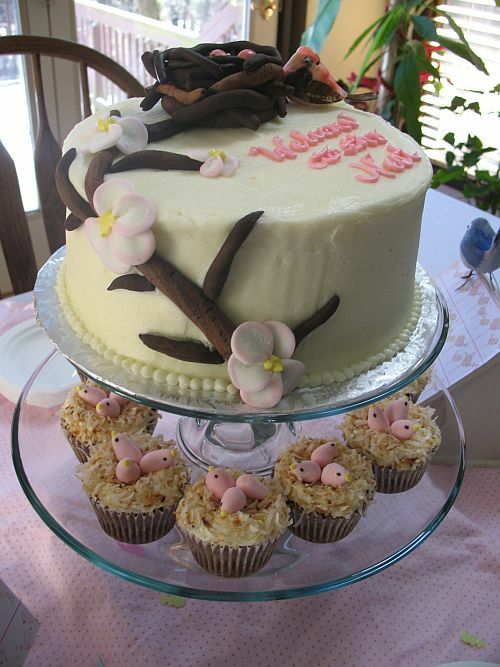 This Welcome to the Nest Baby Shower Cake was so much fun to make! The nest with the Robin Eggs which are (Mini Easter Whoppers) was made out of modeling chocolate, a first for us at Bear Heart Baking Company! The tree branch was also made out of modeling chocolate as well. 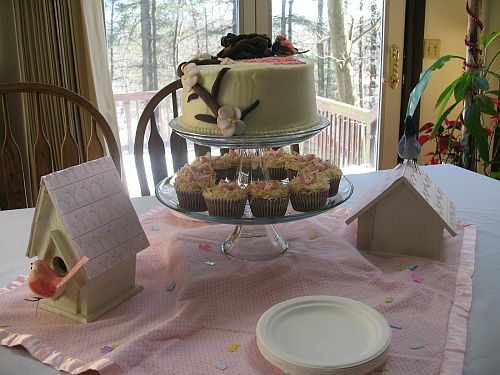 The flowers were marshmallow fondant painted pink at the tips for the baby girl! The cake itself was an almond flavored white cake with a black raspberry filling and cream cheese icing with a hint of almond flavoring. We wrote “Welcome to the Nest” on the cake in pink of course! Birds nest Toasted Coconut Carrot Cake Cupcakes! The cupcakes…..Oh the Cupcakes!! The Cupcakes were our amazingly moist carrot cake with chunks of glazed pecans and plump moist raisins mixed throughout. We added a cream cheese icing that is to die for and sprinkled toasted coconut over the tops of the cake! In house toasted coconut which was another first for Bear Heart Baking Company. The little birds were made using our marshmallow fondant, pink because It’s a Girl, and then little yellow icing beaks were added and little eyes dotted on with black edible marker. To see the comment Deb left about this cake click here. Welcome to the Nest! Cake and Cupcakes! 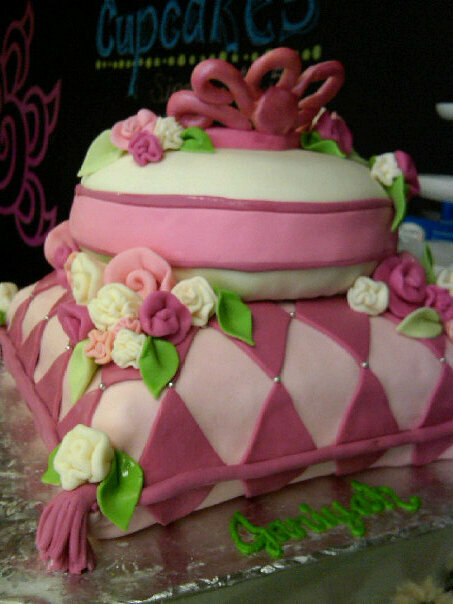 To view other pictures of cakes we have made click here. Baby Shower Cakes are so much fun! There is nothing better than celebrating a new little life joining the family and world! SO far we have had the pleasure of doing all boy themed Baby Shower Cakes. It must be something in the York, PA Water 🙂 However we are sure we are going to come across a Baby Girl themed Baby Shower Cake sooner rather than later. 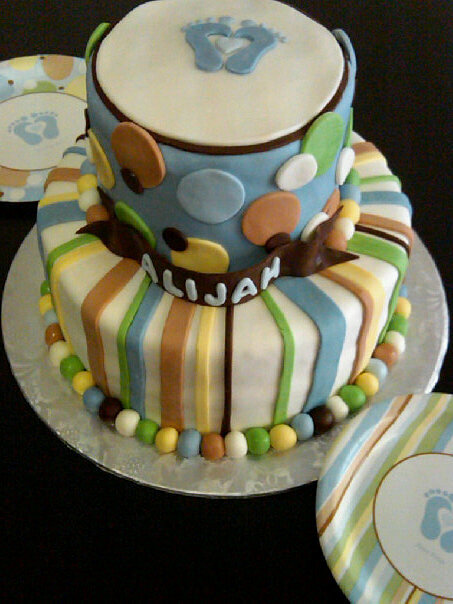 If you are expecting or maybe even just planning a baby shower feel free to contact us about a Baby Shower Cake. We make ordering easy. Saving you time and money by communicating mostly through e-mail. I can sketch out your design, scan it, send it to your e-mail, you look it over and we go from there! It has never been easier to order any cake online! Contact Us at Bear Heart Baking Company today!